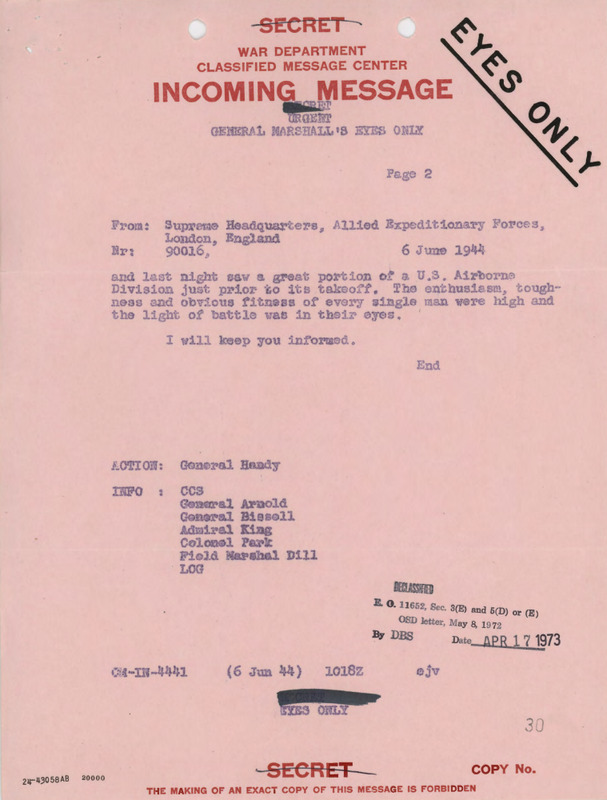 Several hours into the D-Day invasion, General Eisenhower sent a cable about the apparent success of the operation back to the War Department in Washington. 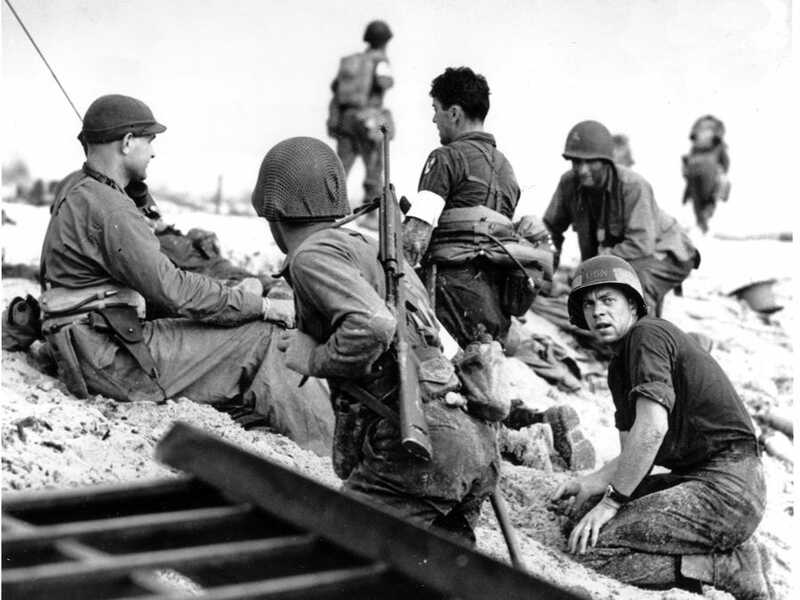 At the time, Eisenhower had scant details of how well the beach head invasions had actually went. But based on reports he was receiving, the legendary general and future president was fairly certain that the invasion was proceeding well and would result in an Allied victory. Local time is now eight in the morning. 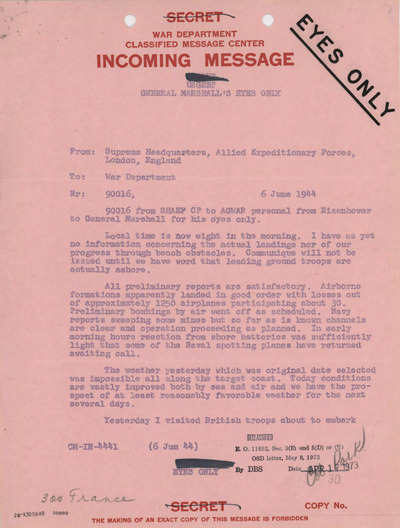 I have as yet no information concerning the actual landing nor our progress through beach obstacles … All preliminary reports are satisfactory. Airborne formations apparently landed in good order with losses out of approximately 1250 aeroplanes participating about 30. The weather considerably improved by the morning of June 6th. Allied infantry began landing on the coast of France at 06:30. By the end of the day, the Allies had gained a foothold in German-occupied Western Europe that was critical to winning the war.